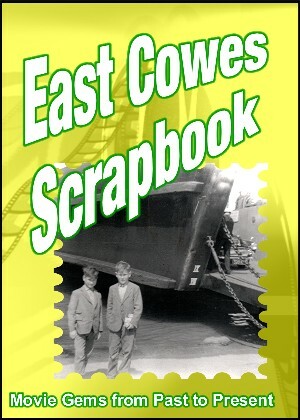 The Image Films archive collection contains many movie snippets of East Cowes, both amateur and professional. ‘Ventnor Scrapbook’ is a compilation of film clips from the collections of Image Films and the Isle of Wight Film Archive. 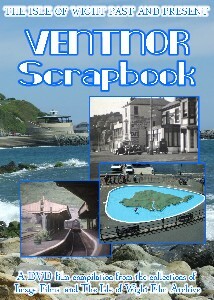 Depicting Ventnor from the 1930s to the present day, they include scenes of the Piers, Boating Lake, Buses and Trains as well as The Cascade, Rex Cinema, Ventnor Carnival in the 30s and Paddle Steamers. Also included is a short film ‘Sunshine Isle’ which contains a sequence of Car Rallying in the 1950s. Running time 50 minutes | Single layer Single Sided Disk Colour and Monochrome. The Isle of Wight Film Archive, Image Films and FilmWight have about 100 hours of Island films in their combined collections. Spools of commercial productions stand alongside semi-professional movies and amateur film clips. The trustees are slowly viewing the miles of footage to catalogue and preserve these precious and fragile glimpses of people and places long gone from the Island scene. The original film makers intended their movies to be seen, not hidden away in a rusty can on a dusty shelf, so to this end DVDs are being produced to eventually bring them all to a wider audience. 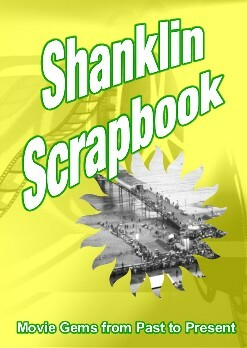 ‘Shanklin Scrapbook’ contains selected extracts from, ‘Yesterday’s Movies’, ‘Carnival Cavalcade’, ‘Island In The Sun’, ‘The Mellanby Collection’ and ‘Along The Shore’, some of the DVDs already available, as well as recently discovered footage that has not previously seen the light of day. 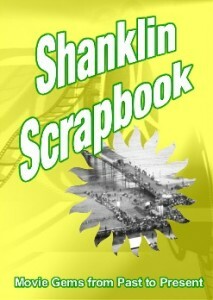 Shanklin Scrapbook also contains “1953 Coronation Clippings” from the Mellanby Collection and “Sunshine Isle”. The Southern Vectis Omnibus Company was formed in March 1929, a joint venture between the Vectis Bus Co. and Southern Railway. Over 80 years on the name is still in use, although there have been many changes of ownership and vehicles over the years. 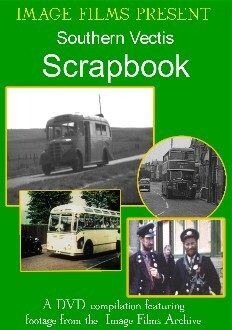 Buses have always been a popular subject for photographers, and with the introduction of home movie cameras many enthusiasts began capturing vehicles on cine. This DVD is a compilation of clips from the Image Films Archive collection and features footage from the 1940s to the present day. Also included is a short film, ‘Sunshine Isle’, depicting the Island in the 1950s. 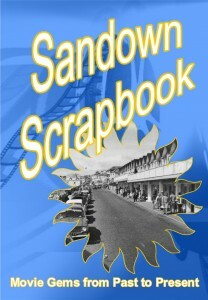 “Sandown Scrapbook” brings together selected scenes of Sandown from our extensive collections. 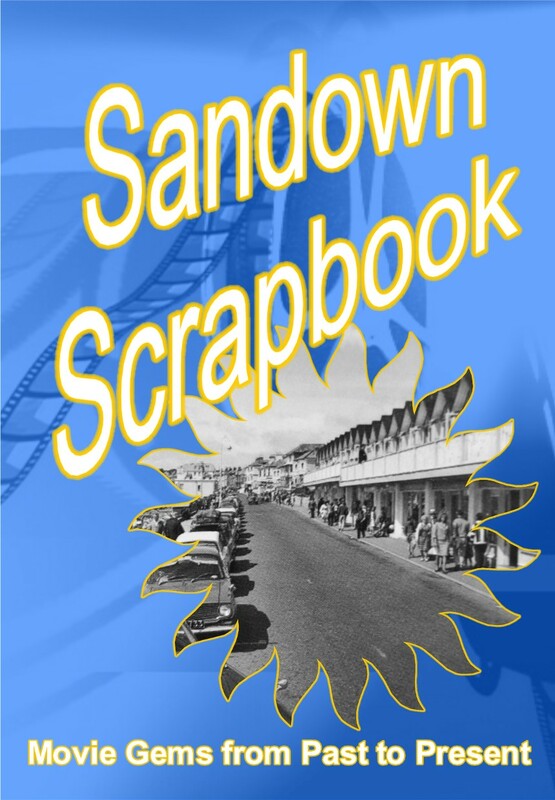 Sit back and enjoy Sandown from the 1930s to the present day, with a varied and eclectic selection of clips including views of the Pier, Carnivals, A visit by the Queen, Steam Trains, Brown’s Golf, the Boating lake and the Blue Lagoon Swimming Pool, just to name a few. Also included is a short film, ‘Sunshine Isle’, depicting the Island in the 1950s.